Nick and I are back on the road again, swapping New York’s snow for some sun and much needed vitamin D. Boy have we found those two things in Mexico! We’ll actually be on the road for about six weeks travelling throughout three distinct regions of Mexico. The Yucatán Peninsula, Central Mexico (Mexico City), and Baja California. This trip will be part beach holiday, road trip and backpacking adventure. 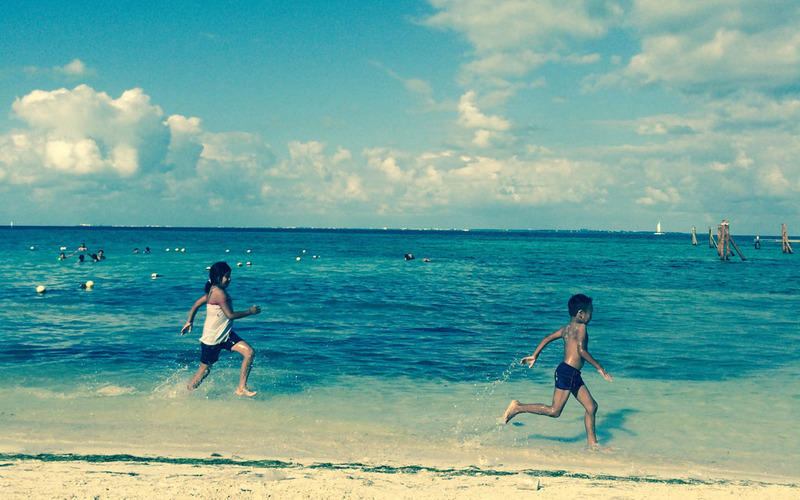 While I must admit I was a little unsure about visiting Cancún (I had not heard great things), this universally recognised party town, completely took me by surprise. Apart from all those things Cancún is famous for, huge high rise hotels, the Las Vegas like strip, and the annual influx of spring breakers, Cancún has a truly (and undeniably) stunning coastline, magnificently blue waters, delicious food and some of the friendliest locals I’ve met. Fortunately, as it would turn out, our budget did not allow us to stay in the glitzy Zona Hotelera (the area where all the high rise hotels are), instead Nick and I found affordable accommodation in downtown Cancún, otherwise know as Centro, where we found a much more local scene. Our hotel was only a short walk from the Parque de las Palapas, a large square where in the evenings a wide range of food stalls sell fresh, delicious and cheap meals. Tacos and tequila anyone? As nightfall approaches each day, the square becomes a flurry of activity. It’s a place where the locals go to mix, unwind and eat. While children run around (until all hours it seems), locals and tourists alike enjoy tasty tacos, cheesy quesadillas, corn on the cob, sugary churros and refreshing sorbet with a surprisingly delicious topping of chili and sugar. A rule that we followed when it came to food was to go where the locals went. It never led us astray. The only minor downfall I would say of staying in downtown is that it’s a 15 minute bus ride away from the Zona Hotelera, where the beaches are located. However, as Nick and I discovered we were only 2 kilometres away from the nearest beach, Playa Las Perlas. This beach unlike almost all the others, was completely open to the public. To get to most of Cancún’s beaches you must walk through the lobbies of big hotels. Sadly, these hotels are more likely to let tourists cross their lobby floor than they are locals, despite the fact that under Mexican law, everyone has the right to walk and swim on every beach in the country (except those within military compounds). I guess that’s why Nick and I liked Playa Las Perlas so much, with its laid back and extremely local feel. For hours we enjoyed the clear, calm, shallow waters of the Caribbean Sea. We even made friends with the family sitting next to us. Despite the language barrier, we built up such a rapport with them that they even offered us sandwiches for lunch. To me this family and their extremely kind gesture sums up the Mexican spirit – generous, warm and with a strong sense of family. Yes, Cancún is built up (horrendously so some would say) but its coastline is stunning none the less. The weather is divine, the water is delightfully warm and crystal clear. I’ve been told however that the further south we travel, the beaches are even more stunning. This I can’t quite believe. 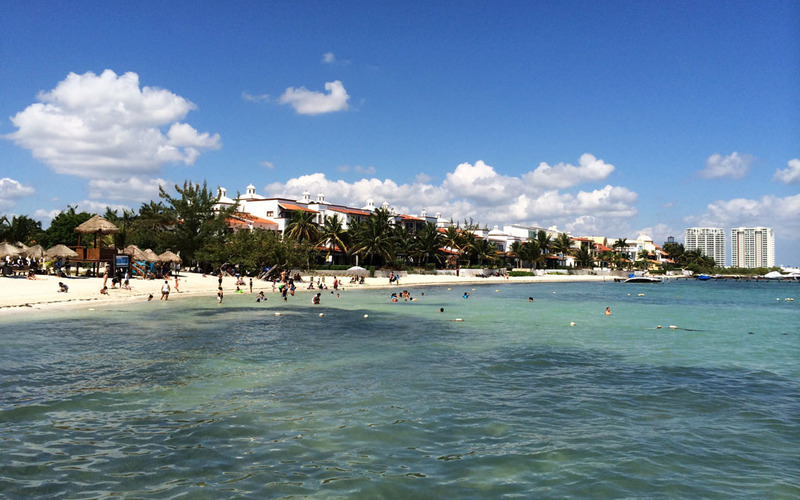 I’ll have to wait a week to find out, as for now Isla Mujeres awaits. Local beach, located 2 kilometres from the centre of town. 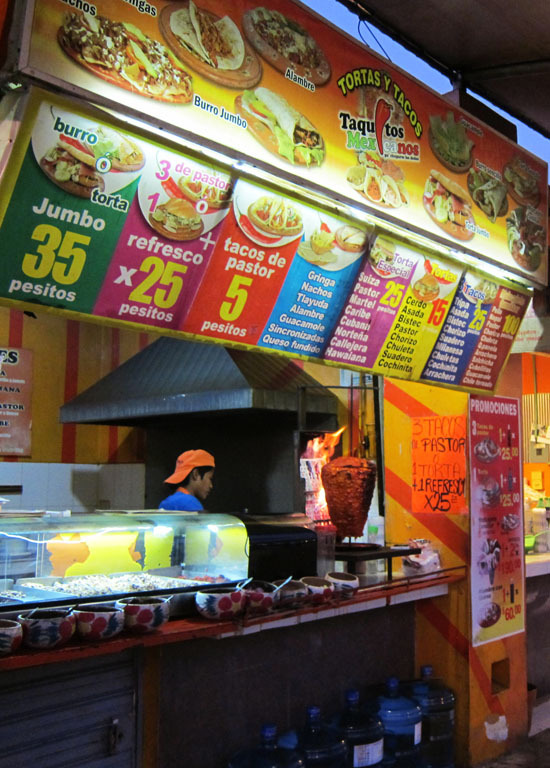 Enjoy delicious tacos from a variety of food stands at Cancún's central square. Address: Av Yaxchilán 69 (Located one street away from the main square). 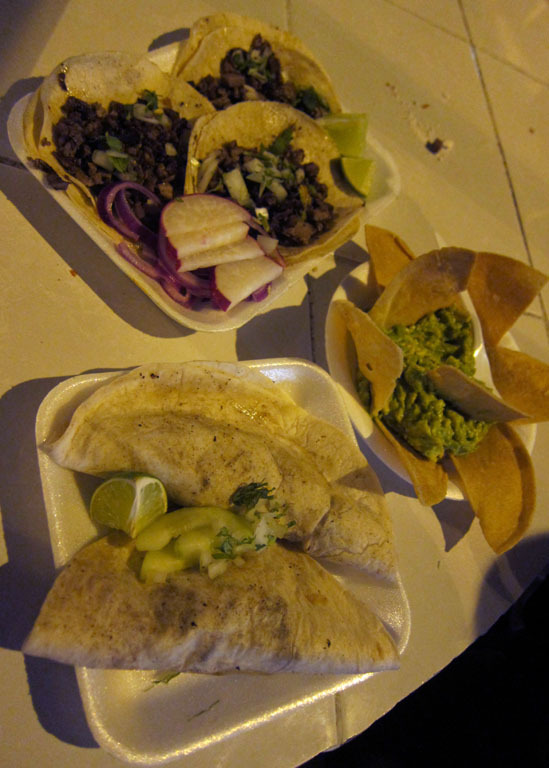 Tucked away in the back streets, of downtown Cancún, Pescaditos serves a variety of fresh seafood dishes. The menu is incredibly inexpensive and delicious! I recommend the fish sticks with mayo-chipolte sauce. Tasty!